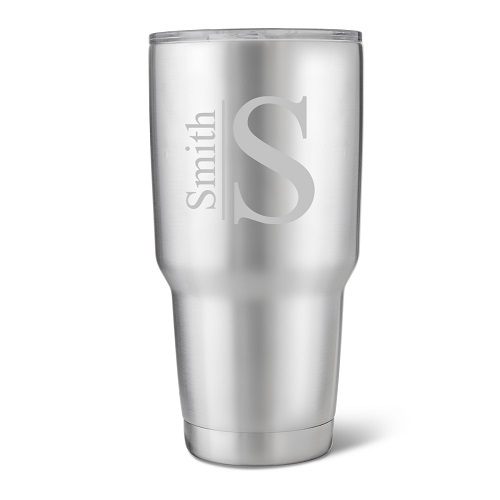 Keep your drink at the right temperature and have yourself a good time with this 30 oz. 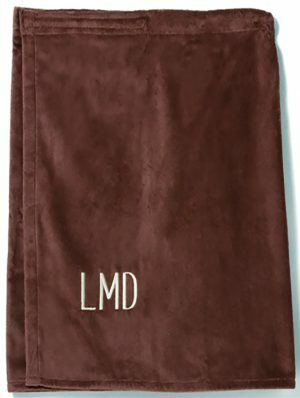 Double Wall Insulated Tumbler! 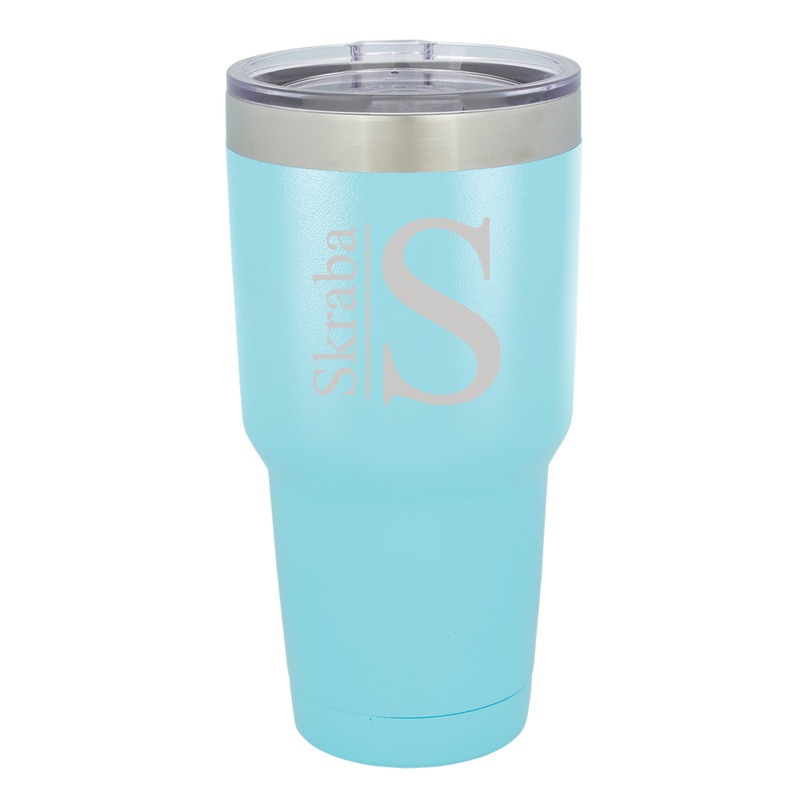 This tumbler hold 30 ounces of your favorite beverage. 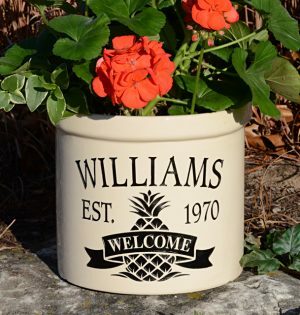 Personalize with a name up to 15 characters, block letters. 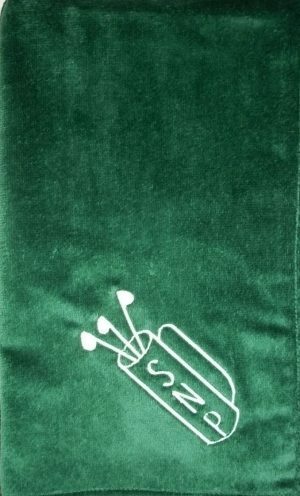 First letter of name will be engraved separately and will be most prominent. 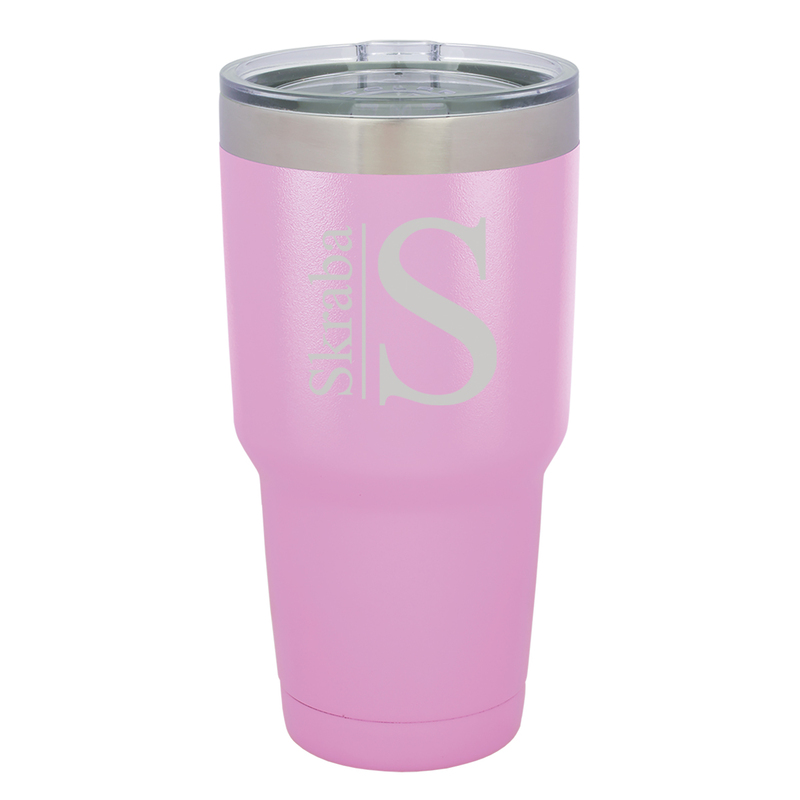 Sealed lid to prevent spills and vacuum insulation to keep your drink at your preferred temperature for hours! 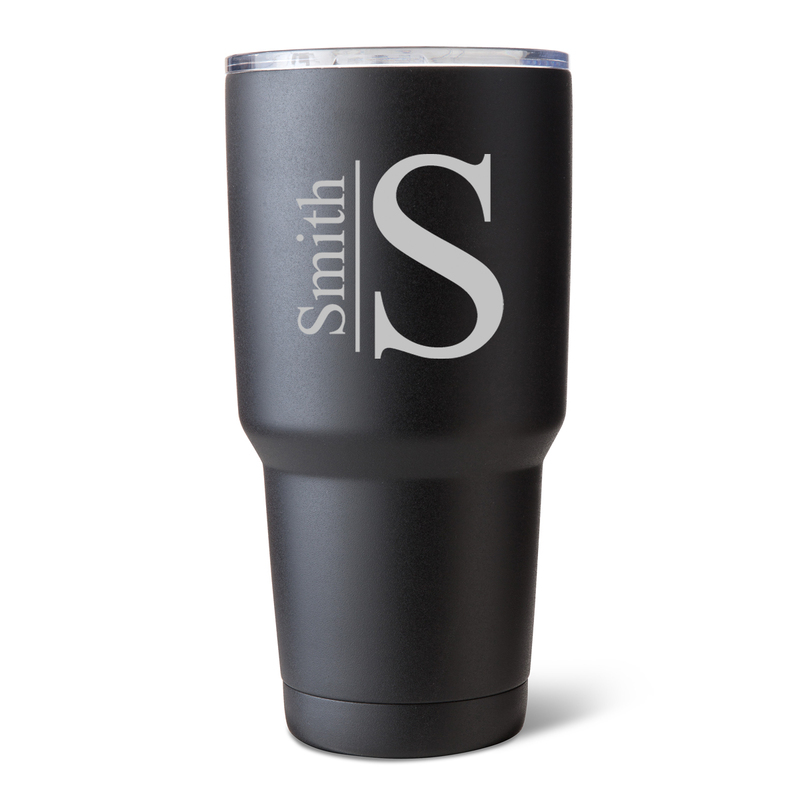 This tumbler makes a great gift for both men and women for any occasion.